One Bite: Support for your animal companions, the Nature Healing Process. - Perelandra Ltd. If you have animal companions, we want you to know about this process! In the Nature Healing Process for Companion Animals you work with nature to support your companion animals' health. It's for any companion animal — dog, cat, ferret, hamster, parakeet, box turtle, horse, pot-belly pig, mouse . . . If it's your "pet" and it needs help, you can use this process. Important: In addition to the instructions, you will need ETS for Humans to maintain your balance while working with the process. 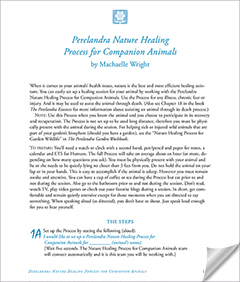 Note: This process, developed in 2013, improved on and completely replaced the "Nature Healing Coning for Animals," which had been helping folks work with nature to assist their animal companions since the early 1990s. If you have the older paper, or are using the process included in your (2013 or older) MAP book, please replace it with the new process. The emergency Solution for all animals. Note: It's not required for the Nature Healing Process. 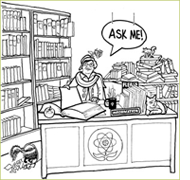 If you would like to know which Perelandra Solutions or Essences would be most helpful for your animal, ask the PIC Classroom. And if you have an animal that's . . . let's say "challenging" when it comes to administering the drops — or if they need a lot of different Solutions and you want to limit the amount of brandy or vinegar they're getting — then PIC List Testing is the way to go! See page 23 of the PIC Booklet for more about that.